At the 2014 Beijing Automotive International Exhibition with the addition of two exhaust gas two nozzles and inlets, Lexus welcomes its first twin scroll turbo charger to its powertrain family. The NX 200t turbo offered with the vehicle will balance agility and responsive acceleration with excellent fuel economy. The NX 200t turbo will be provided in the U.S. market in addition with the NX 300h hybrid. The market factor will vary NX model range’s availability, including the NX 200 which has a naturally aspirated engine. With the addition of aggressive design features the NX 200t F SPORT will also be available. F SPORT having a bold front bumper, black exterior mirrors, mesh grille insert, paddle shifters, interior ornamentation, machined-finish wheels, and sport seats. In the NX examples of attention to detail include welcoming LED illuminated exterior door handles, modernized overhead console touch switches that work smoothly and other innovations, so that for future Lexus models they will set new standards. 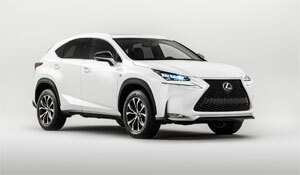 In the second half of 2014, The Lexus NX will be available for sale all over the world, and appear in the fall of 2014 in U.S showrooms. Both U.S. models, NX 300h and NX 200t, will be available in all-weather-drive and front-wheel-drive. My name is Bilal Amjad. I am a professional content writer and SEO executive. I have 2 years experience in this field.